"The Secret Service estimates that roughly 1,100 employees will work overtime hours in excess of statutory pay caps during calendar year 2017," Director Randolph "Tex" Alles said in a statement. Washington: The Secret Service said Monday that it has enough money to cover the cost of protecting President Donald Trump and his family through the end of September, but after that the agency will hit a federally mandated cap on salaries and overtime unless Congress intervenes. If lawmakers don't lift the cap, about a third of the agency's agents would be working overtime without being paid, agency officials said. "The Secret Service estimates that roughly 1,100 employees will work overtime hours in excess of statutory pay caps during calendar year 2017," Director Randolph "Tex" Alles said in a statement. "To remedy this ongoing and serious problem, the agency has worked closely with the Department of Homeland Security, the Administration, and the Congress over the past several months to find a legislative solution." The spending limits are supposed to last through December, but the cost of protecting the president and the extended first family, who have traveled extensively for business and vacations, has strained the Secret Service, local governments and at least one other federal agency, the Coast Guard. Presidential travel for Trump and the first lady - who fly to their oceanfront Mar-a-Lago Club in Palm Beach, Florida, and to their golf club in Bedminster, New Jersey, on many weekends - has added costs for taxpayers and complications for the government. The Secret Service also must provide protection for Trump's four adult children. Alles cited overall increases to his agency's staff levels, which grew by 800 this year, as a factor driving the extra costs, calling the issue "not one that can be attributed to the current Administration's protection requirements alone." He noted that the Secret Service in recent years has frequently received permission from Congress to exceed the overtime and salary cap. This occurred as recently as 2016 during President Barack Obama's final year in office. Alles called the agency's current predicament, first reported by USA Today, "an ongoing issue for nearly a decade due to an overall increase in operational tempo." Without question, however, the agency's workload for security personnel has grown under Trump. The Secret Service now protects 42 people around the clock, 11 more than it did under Obama. The Trump protection number includes 18 members of the president's family. The cap has been exceeded by at least some amount in recent years, but fewer agents were affected, usually 300, compared to 1,300 in 2016, when agents protected Obama, Hillary Clinton and Trump during the campaign, according to the office of Rep. Elijah Cummings of Maryland, the top Democrat on the House Committee on Oversight and Government Reform. Since he took office, the president's inclination to conduct official business with crowds around him - such as a working dinner he held in February with Japanese Prime Minister Shinzo Abe at Mar-a-Lago with diners nearby - has required protection. His four adult children and son-in-law have far-flung travel plans that also have pushed up security costs. Trump's sons Eric and Don Jr. traveled this year to the United Arab Emirates for business with their Secret Service details in tow, attending the grand opening of a Trump-brand golf resort in the "Beverly Hills of Dubai" 8,000 miles from the U.S., for example. Meanwhile, first lady Melania Trump stayed behind in New York with the president's youngest son, Barron, for the first five months of his presidency, requiring extra security at Trump Tower. Presidential families have for decades been guaranteed round-the-clock protection, with no limit on expenses. Every presidency has brought new security challenges, depending on the president's lifestyle. George W. Bush traveled to his remote ranch in Texas. Obama went regularly to Martha's Vineyard and his native state of Hawaii. Judicial Watch estimated that Obama-related travel expenses totaled nearly $97 million over eight years. The Secret Service, beset by years of budget shortages, low morale and leadership shake-ups, requested $60 million in additional funding for the next year to protect the Trump entourage. Nearly half the additional money, $26.8 million, would pay to protect President Trump's family and private home in New York's Trump Tower, documents obtained by The Washington Post show, while $33 million would be spent on travel costs incurred by "the president, vice president and other visiting heads of state." The U.S. Coast Guard has run round-the-clock shoreline patrols alongside Mar-a-Lago when the president is in town. "Mr. Cummings and I have spoken twice this morning about our mutual desire to see the Secret Service funded and the agents treated fairly while acknowledging the difficult and important job they have," Oversight Committee Chairman Trey Gowdy, R-S.C., said in a statement. 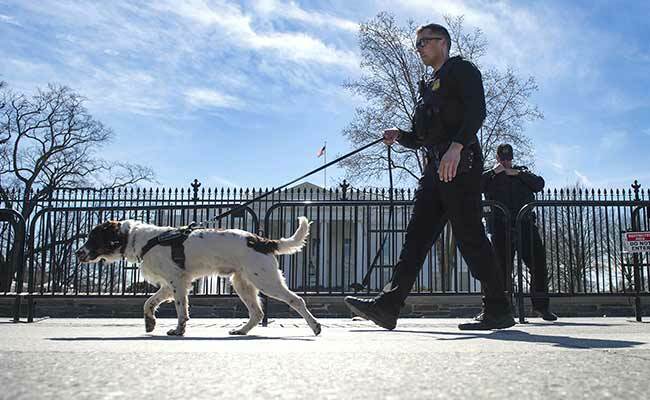 "The hardworking men and women of the Secret Service put their lives on the line every day, and it is a travesty that they are not being paid for the hours they work,"he said. "Congress cannot stand on the sidelines and complain - we need to act to ensure that Secret Service agents get every penny they deserve, period."